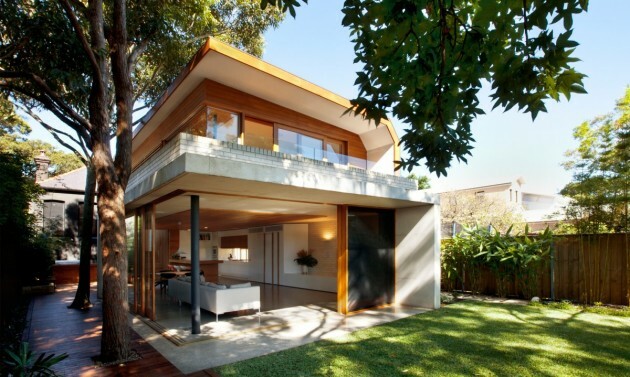 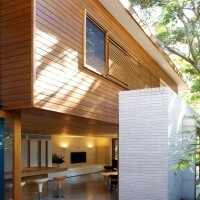 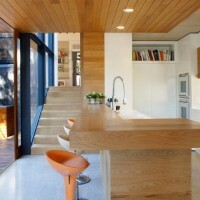 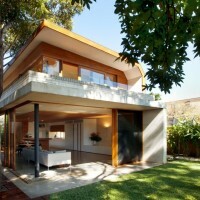 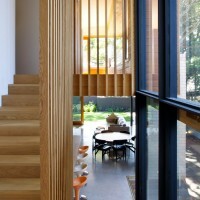 Fox Johnston have designed the Queen’s Park House in Sydney, Australia. 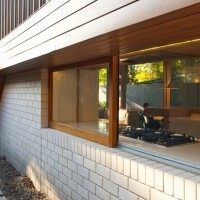 The existing federation house is situated in Queens Park and benefits from a large north-east facing site. 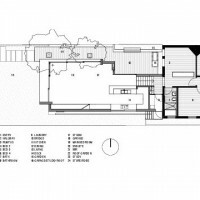 The clients required a large family home for their growing family that would best utilise the expansive nature of the block as well as respect the integrity of the existing house. 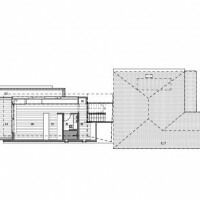 The project response involves grafting a two storey folded volume onto the rear of the existing shell – a parents retreat and study on the upper level, with a generous living area below. 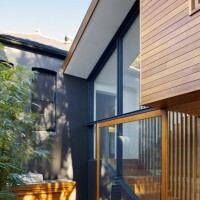 A central courtyard inserted between old and new provides relief and allows light and breezes to permeate. 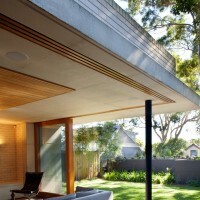 Living areas open onto a lush rear garden.